Build trust and credibility. Words like proven, research, and results give people a reason to believe your offer. Inspire action. You probably know that Tony Robbins is the most in-demand life coach. People act on his advice. He uses words like change, opportunity, and responsibility. Make them feel important. It can take a simple word such as surprise, secret, or special, to make your audience feel valued. If you’re having trouble figuring out where to add those powerful words that sell, check the key components of your landing page (below). Incorporate your marketing power words in these page elements. In a few seconds, a visitor is going to have a first impression about your landing page based on your headline. You can experiment with various headline formulas or use headline generator tools, but don’t forget to include words that sell. The supporting headline or subheadline comes after the headline. Its role is to explain the main headline to convince visitors to read further or take action. An explainer video should include marketing words. Either you add the power words in the script or the subtitle (visitors can read even when the video is on silent). Throughout the landing page, you write detailed descriptions about your offer. Your message should focus on clarity and delivering value. Anticipate your visitors’ questions. Testimonials or numbers about your user base, followers, or subscribers help you build trust. Use testimonials and stats containing phrases with marketing power words and see your conversions soar. Right above your form, write a sentence or two that would remind visitors of the reason they should sign-up. Optimizing your CTA button copy has never been easier with attention-grabbing words. Here’s a useful tip: write in the active voice as this convinces the visitor to sign-up and act on your offer. If you want to go viral and collect thousands of email subscribers in a few days, run a contest/giveaway. You need a landing page to display your prize, and that landing page has to spark excitement. 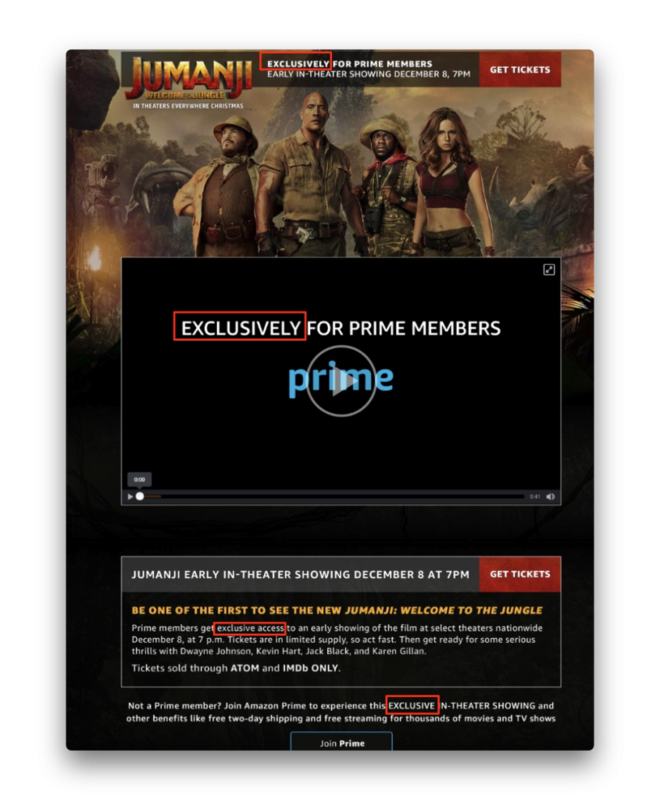 When something is exclusive, only a selected few can access it. And it’s human to want what he doesn’t yet have. Use the principle of exclusivity to get your visitors to join your club or buy your offer. 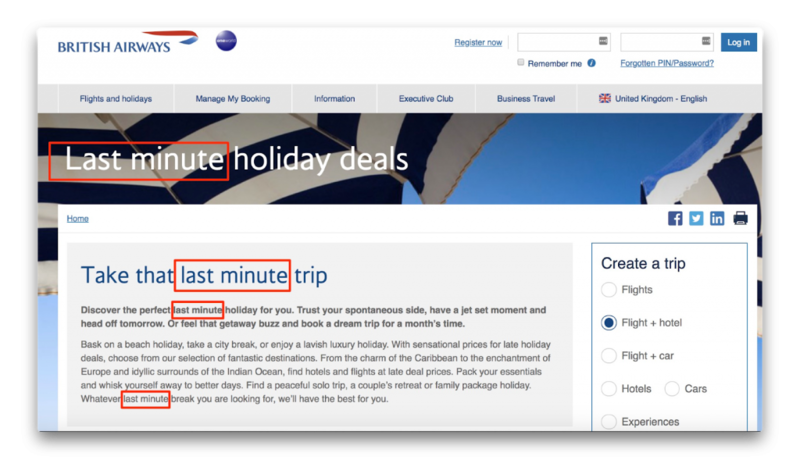 Adding a sense of urgency with the use of words like “last minute” (like the example below) tells your audience that your offer is about to end. In effect, they’re motivated to act right away. The reason why an urgency strategy works is that it reduces the time people get to make a buying decision. 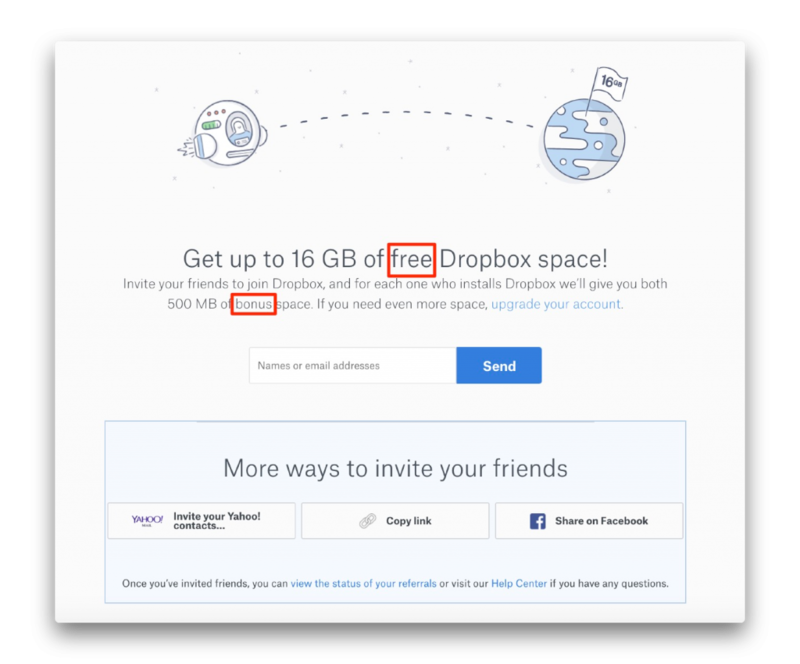 In the sample landing page below from Active Adventures, note the use of the persuasive words “you” and “free.” “You” helps you speak directly to your reader. Everybody loves the word “free” because they know they’re in for some surprise. 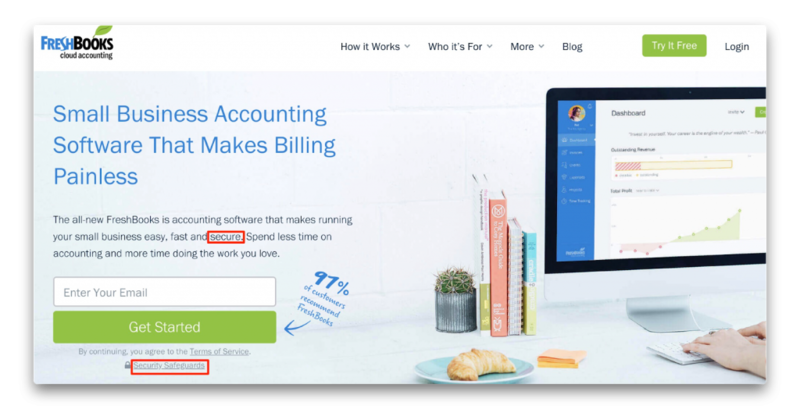 Freshbooks, an accounting software, builds trust on their landing page by using words like “secure” and “safeguards.” Building trust is crucial if you are to collect your prospect’s personal information and make them buy your product. Sam Ovens of Consulting.com makes his prospects feel that they have an exclusive place to interact with like-minded individuals. Belongingness is a basic human need for being in a group allows us to express ourselves and gain acceptance. Using power words for marketing your landing pages will help drive visitor action – whether that’s a purchase, joining your group, downloading your offer, and so much more. Words are just one of the ingredients to a landing page that works. If you want a better way to boost landing page conversions (especially in a short amount of time), start a marketing campaign.